“I’m currently developing a project in Leeds with the working title, ‘Film for an abandoned projector’. It’s a one-off presentation of a film made specifically for an abandoned projector in a disused cinema in the city. 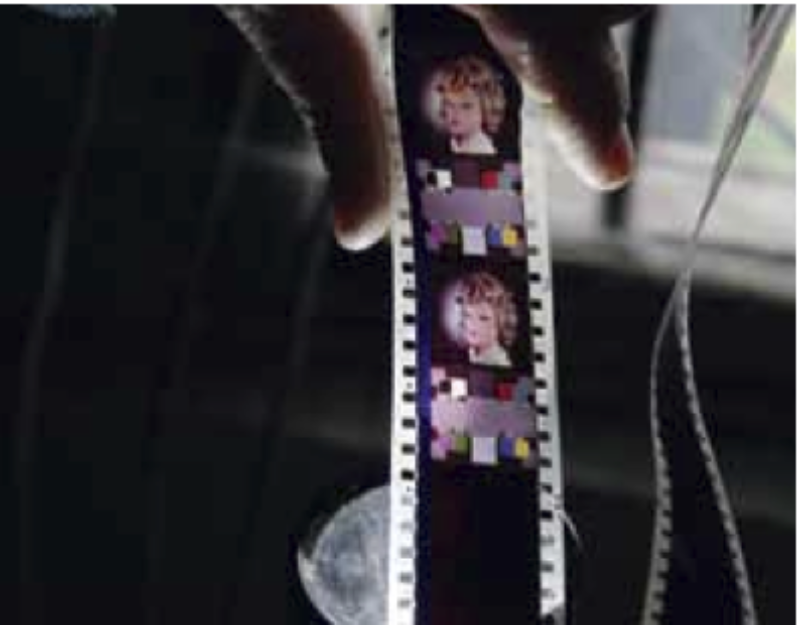 The film will be a single 35mm played on the projector until the film is worn away. This is a commission by Pavillion, an organisation based in Leeds which explores the problem of the image, and presents new work in a critical context. In my research, I read that Leeds was the primary producer of cinema projection equipment in the mid 1900s. We recently found an amazing derelict cinema in the Armley area of the city, with two of these locally-made projectors in situ. I’m interested in how this local history foregrounds the mechanical machine as a producer of the illusory space of cinema. After this cinema closed, it was used as a light bulb factory, and today, the space is a church. The building has been variously repurposed and the projection room is currently walled up. We will cut through two walls in order to release the projection beam in to the cinema auditorium. My recent work is preoccupied with the relationship between sculpture and film, and this project seeks to explore this interest on an architectural level. It is, perhaps, also a form of anti-display. I’m interested in using the commercial format of 35mm to play in a marginal and largely unwitnessed space. Reanimating the projectors and screening the work will be a reenactment of the original function of the building.